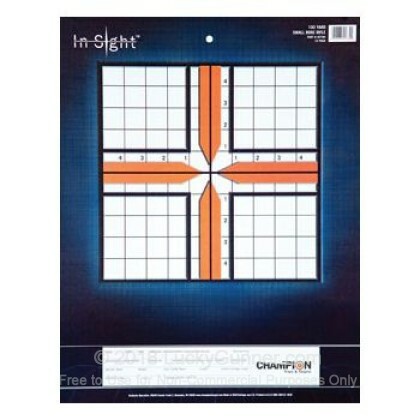 Dimensions - 14" x 18"
Champion's In-Sight Targets are great for sighting in your small-bore rifle and pistol thanks to the high-contrast colors, grid design and shooters log. Nail down your shot placement and get the ultimate accuracy from your firearms, with Champion Sight-In Targets! Champion recommends use of this target out to 100 yards.